What do kids want? To play, of course! At daytime they do it on playgrounds, during school breaks and in their Grandma’s country houses. But when the evening comes and a hut of branches (i.e. 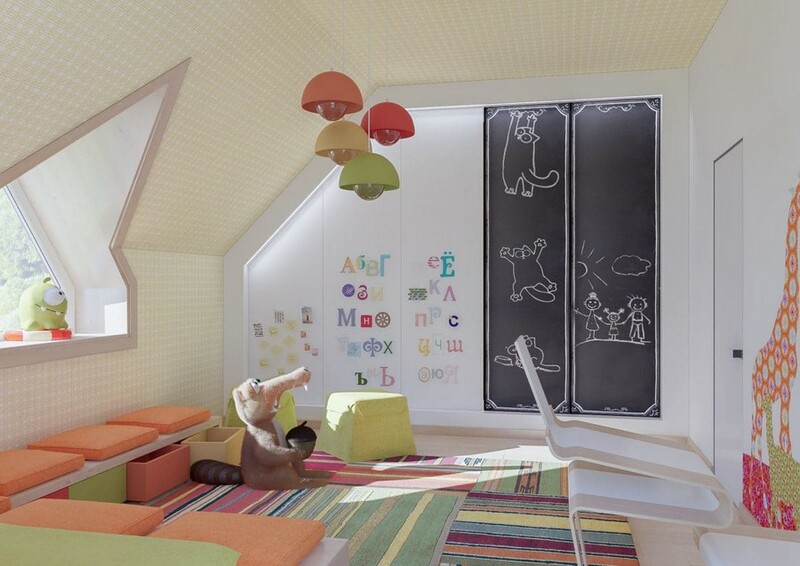 chairs and blankets) is already built, a pillow Everest is already constructed, a crystal vase is already broken, and there is enough energy for more achievements… That’s when a nice playroom comes in! 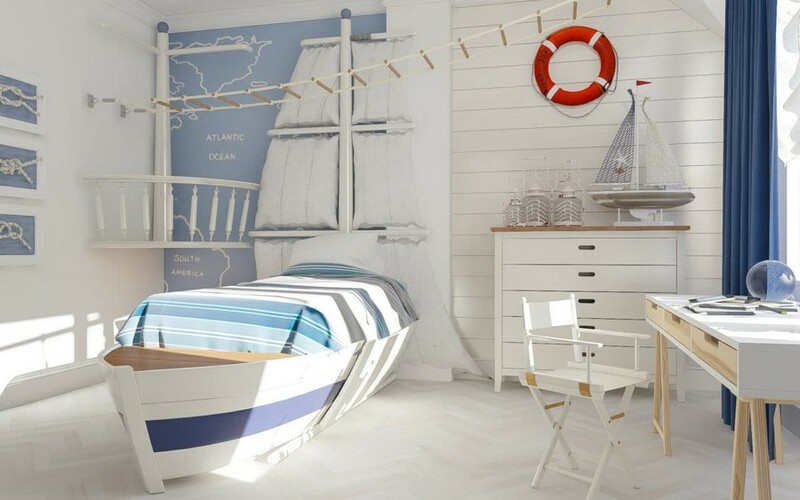 We have a bunch of fresh kids’ interiors for you today! 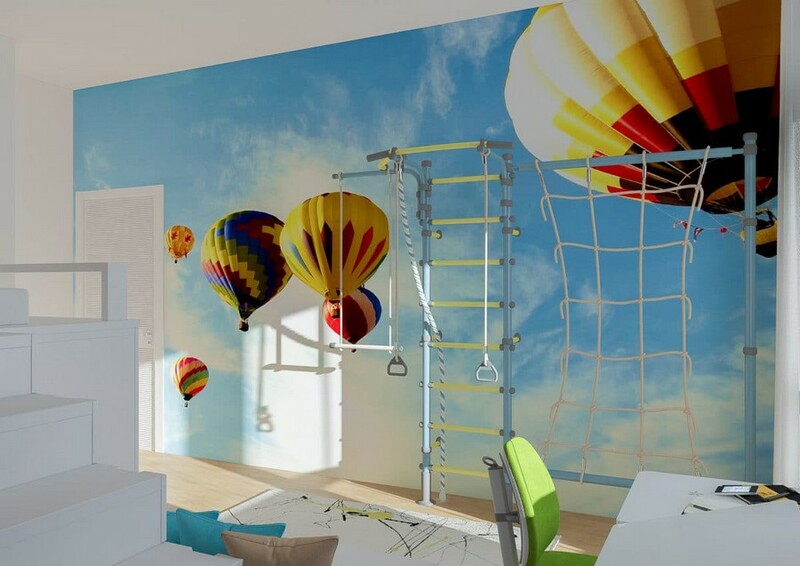 An active accent of this room is a wall mural, which makes the elongated narrow space appear visually bigger. 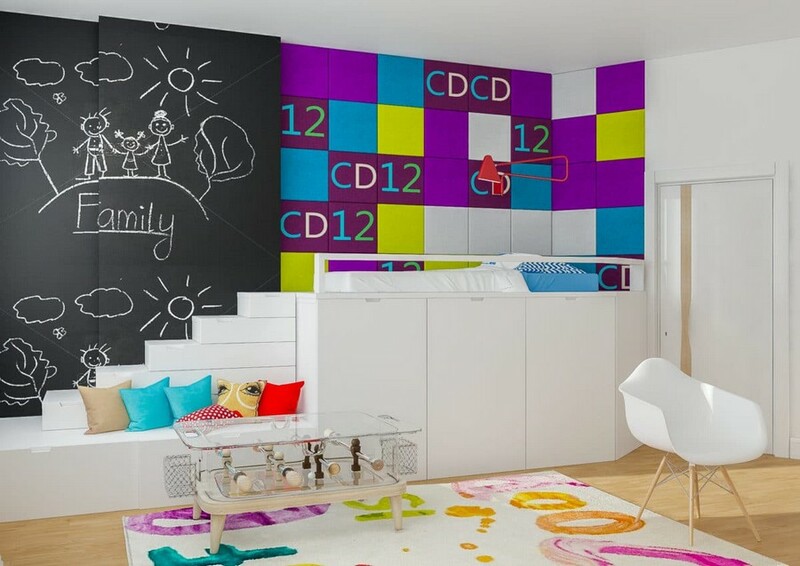 Here the kid may safely and with apparent impunity draw pictures on a special chalkboard wall and have fun getting to bed by the stairs, which allow for organizing a roomy storage zone beneath. A light ornamental shelving unit in this pastel pink girl’s bedroom divides the space into two zones: sleeping and creative. 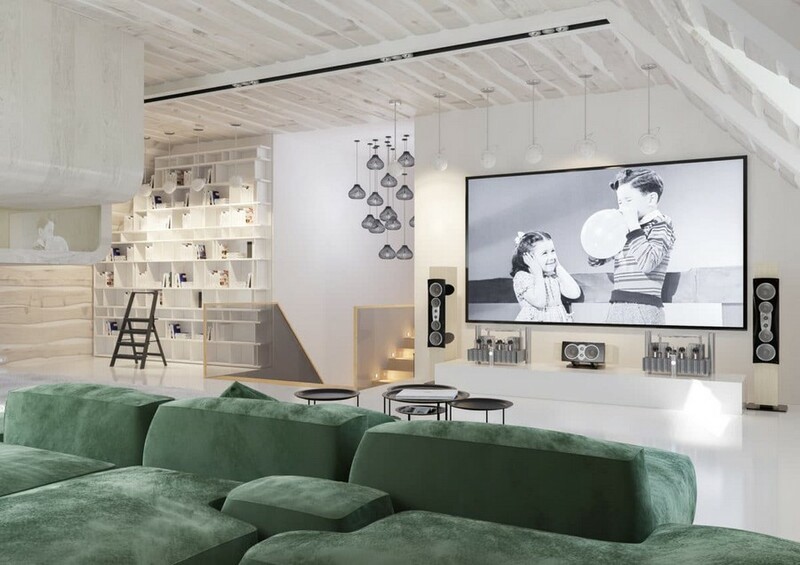 The latter includes one more cozy nook – a music corner on a small podium, which can be isolated by dense curtains for the sake of privacy and enjoying the music. It’s hard to imagine something more inspiring for a young archaeologist than a dinosaur’s skeleton right in the middle of his room, isn’t it? 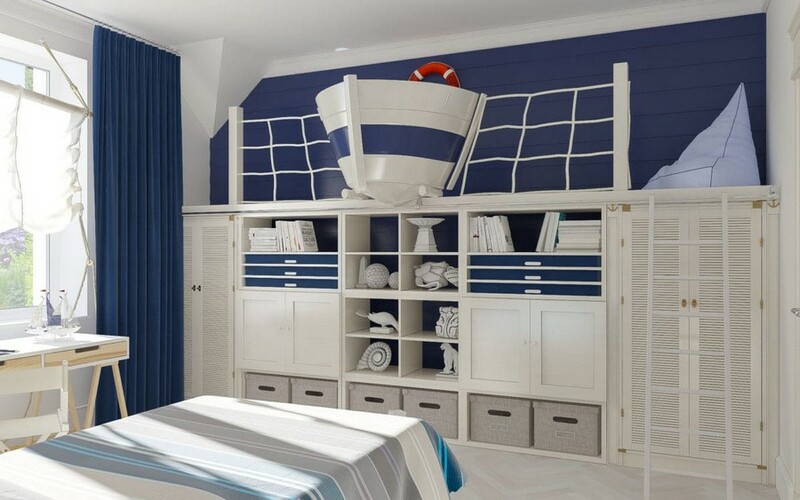 A loft bed with a ladder is what many kids are dreaming of. 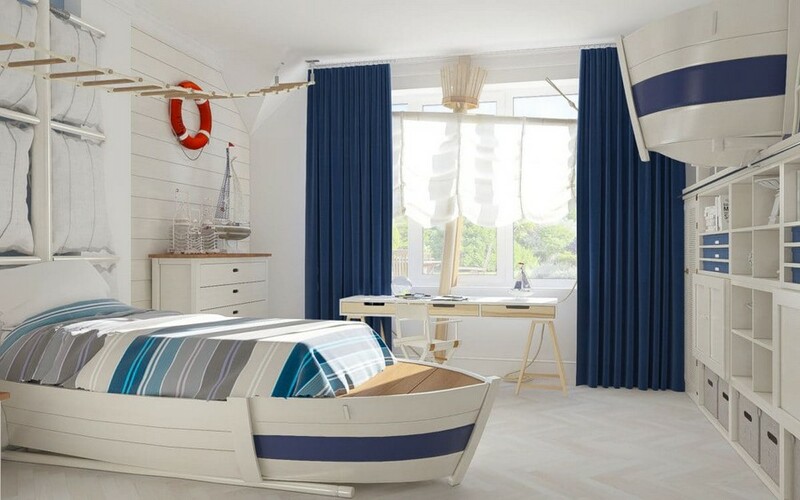 Why deny them such a simple pleasure, if it’s both inspiring and functional at the same time: the space beneath can be arranged as a practical storage zone. 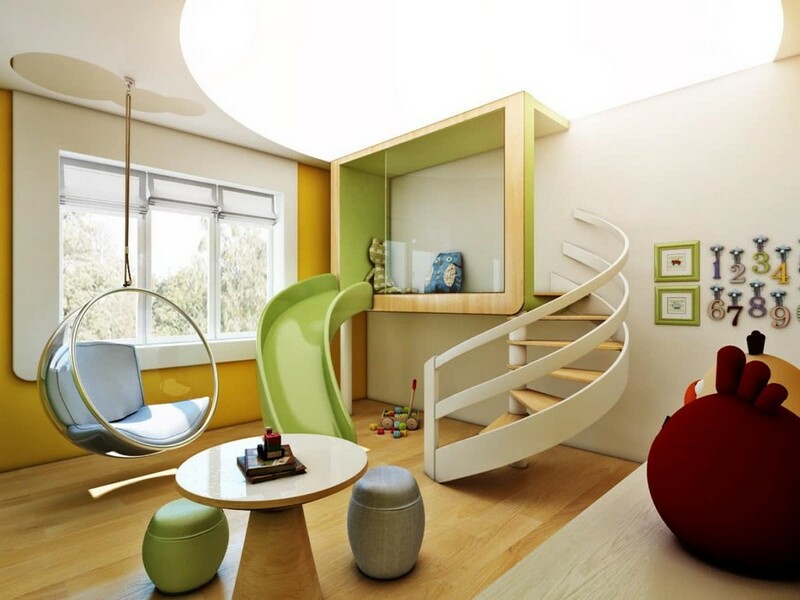 A room with bright yellow and black accents, a gym wall bar, a swing and stairs that can take him right on top of the wardrobe… What else can a young mischief-maker need? Right – a comfortable and ergonomical area for studies and a huge blackboard, perhaps! 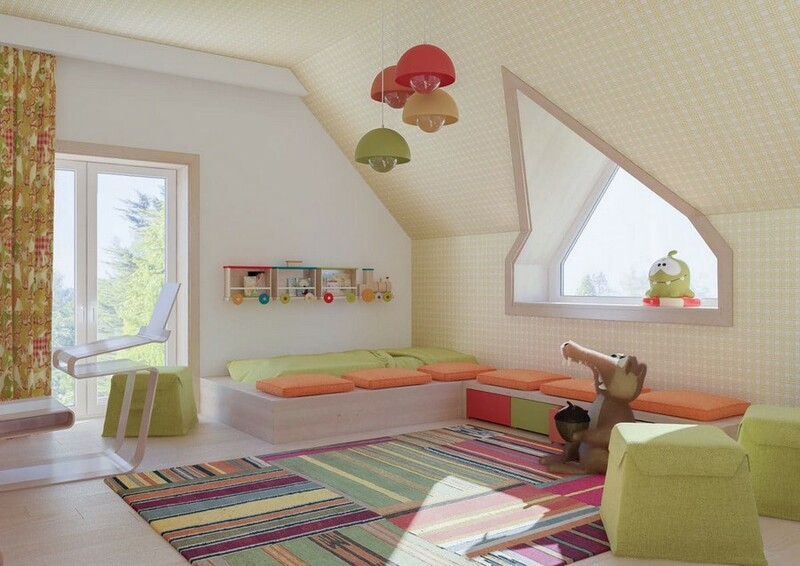 An attic floor is a great space for arranging a playroom. 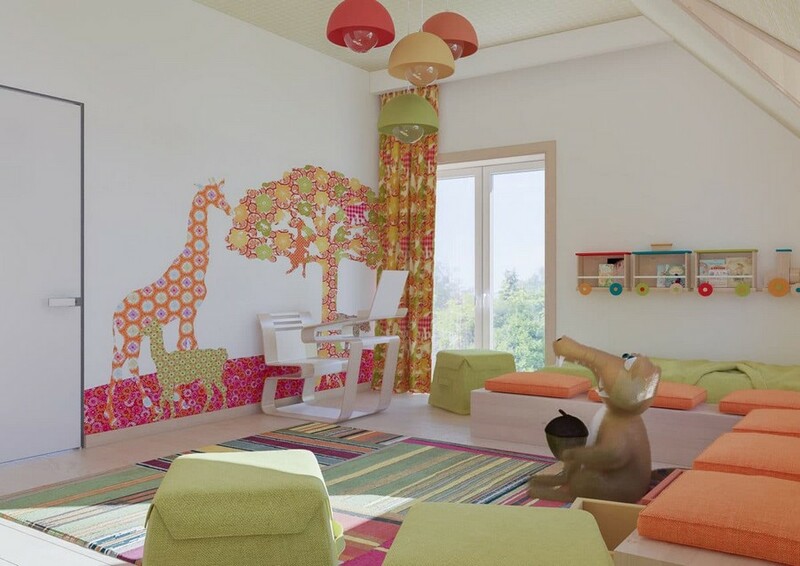 And powdered juicy tones, multicolor African animals and cartoon characters will guarantee good mood. 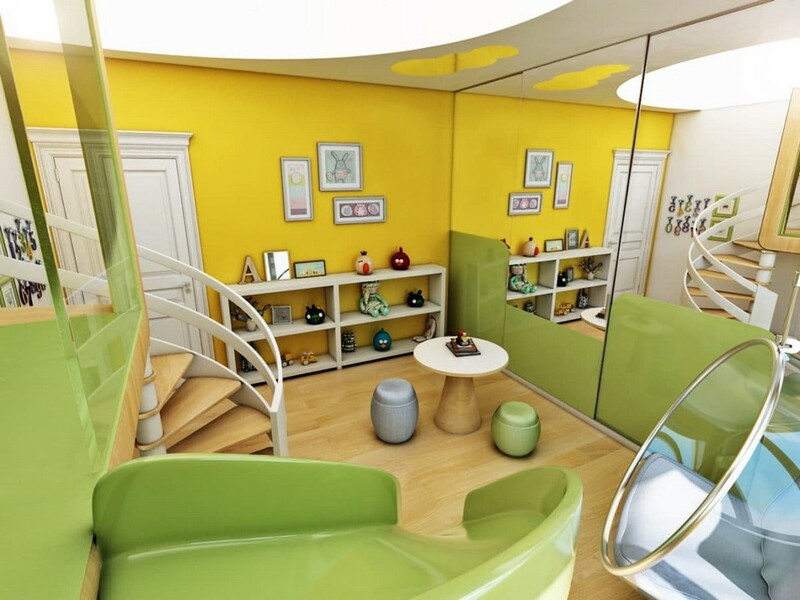 Maybe this room doesn’t glow with all the colors of the rainbow and doesn’t seem fit for kids at first sight, but the owners of this room are thrilled with their futuristic house with glass walls and a slide. And big open space allows for a smooth run and maneuverability in games. 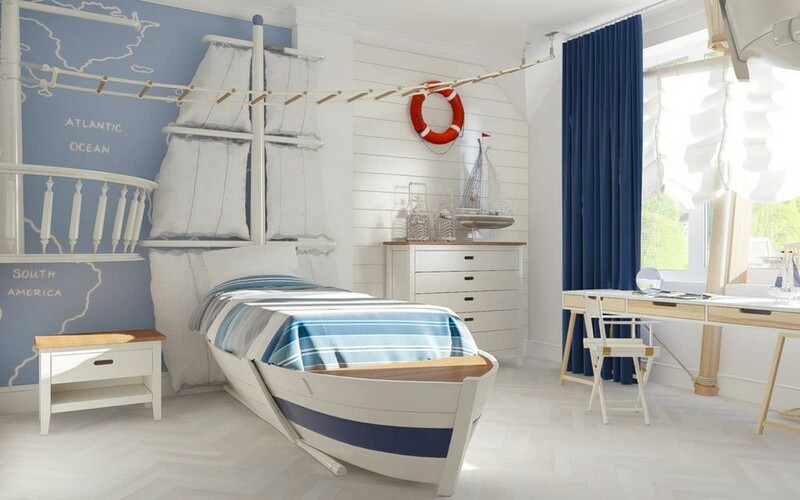 And for last we saved a nautical-style toddler room with all the must-haves of sea adventures: a mast, a rope ladder, a bed on the deck and sails blinds.